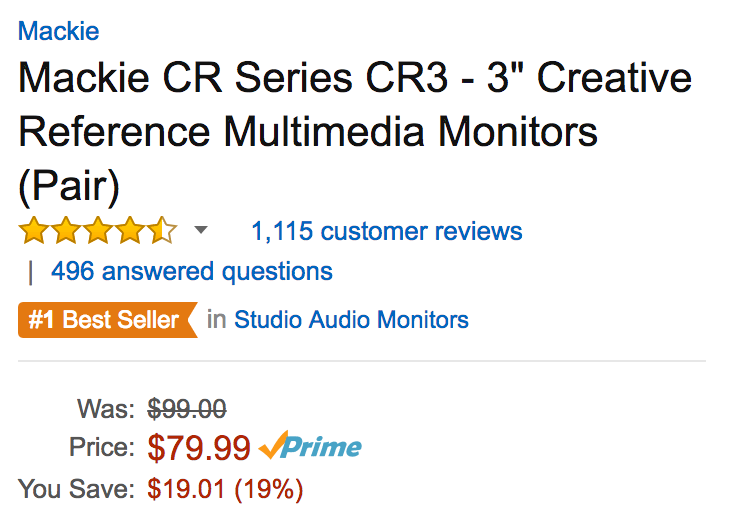 Amazon offers the Mackie CR3 Creative Reference Monitor Speakers (pair) for $79.99 shipped. Also at B&H. That’s a $20 savings off the regular going rate at retailers like Adorama. Today’s deal is an Amazon all-time low where it is the #1 best-selling pair of Studio Monitors with a 4.3/5 star rating from over 1,100 reviewers. Mackie Creative Reference Multimedia Monitors deliver studio-quality design and performance ideal for multimedia creation and entertainment. Built using only premium, high-performance components and featuring convenient front-panel controls, Mackie Creative Reference monitors deliver professional sound quality and features perfect for work, play and everything in between. With high-output drivers, a true studio-monitor waveguide system and an all-wood cabinet, CR delivers premium results due to meticulous design. No other monitor at this price can deliver the quality and performance of Mackie CR monitors.